Panky Rang Productions is a music production company that offers an array of services including mobile stage setups, artist management, equipment rental, music distribution, renegade after parties, night club takeovers, and more. We host and present artists whose talent has captured our attention and hearts. Whether it be house, bass music, trip-hop, dub, instrumental, and everything in between, we love uncustomary and eccentric electronic music. So we want to see what you got! Together, we are a team of like-minded individuals with varying skill sets that have joined forces to make our dream a reality. Panky Rang was established in 2012 and we started our famous Electric Forest after parties in 2016 on our custom converted RV. Sadly, we lost out RV that same year to a storm shortly after our completion of renovations. But we didn’t quit! In 2017 we acquired a full length school bus and began the transformation. We have made the Panky Rang Bus into a full-blown mobile stage where we can throw epic parties at any location. The roof has been modified with a steel frame and supports to act as a stage. Further upgrades include a new floor, DJ booth, safety railings, custom built canopy, truss system, extension decks for speaker mounting, mounting for projection mapping hardware, a staircase, seating areas, audio/visual mounting location, tables, and an sound/visual booth. All of this was created for one purpose: To rock people’s worlds with the pleasure of music made from the soul. 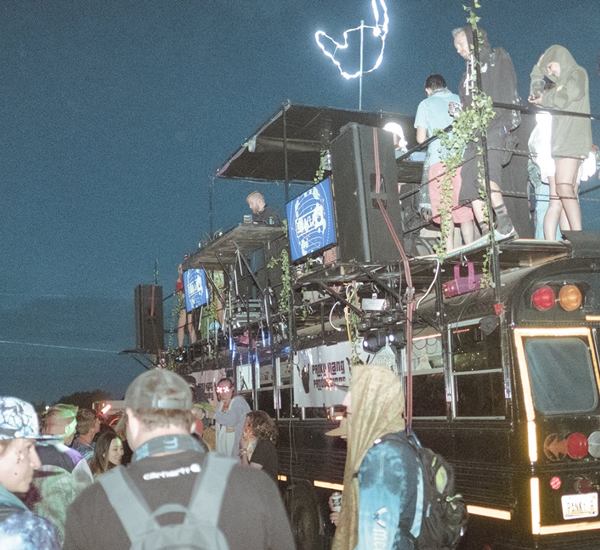 We’ve hosted parties on our bus at Electric Forest, Morflo Fest, Dally in the Alley, Elektricity Nightclub, Fresh Coast Campout, and so many more. We’d love to hear from aspiring producers about collaborating to release music, performing an epic event, or just bouncing ideas off of each other. So please, holla atchya boys! THANK YOU SO MUCH FOR YOUR SUPPORT! IT’S WHAT FUELS OUR FIRE.